Could the key to restoring your health and energy be in balancing your hormones? Join Kenneth Copeland, and Dr. Don and Mary Colbert on Believer’s Voice of Victory, as they discuss the importance of balancing your hormones to maintain health, energy and vitality. 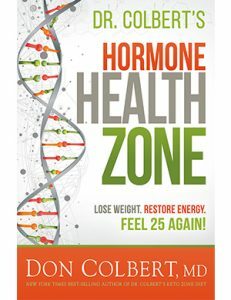 Get into the hormone health zone, and live your best life now! Are you ready to live your best life now? Find out how to begin as Kenneth Copeland, and Dr. Don and Mary Colbert teach you how to optimize your health by mixing faith with works on this Believer’s Voice of Victory episode. Learn tips and tricks for resetting your body and increasing your strength. You can live in divine health and wholeness and defy the world’s definition of aging! Are you settling for a lack of energy in your life? Join Kenneth Copeland, and Dr. Don and Mary Colbert on Believer’s Voice of Victory, as they share how you can revive your energy and get back to living life! Learn how wholeness is available to you through the food you eat, the balancing of hormones, and focusing on The WORD of God. Are food choices your nemesis to achieving good health? Watch Believer’s Voice of Victory, as Kenneth Copeland, and Dr. Don and Mary Colbert teach you how faith for healing and divine health is null and void without corresponding action. Learn to crucify the flesh by eating to live in divine health and wholeness, and live your best life now! Don’t miss this special Q&A with Dr. Don Colbert! 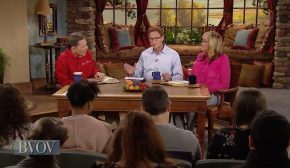 Watch Believer’s Voice of Victory as Kenneth Copeland, and Dr. Don and Mary Colbert answer your questions about diet, exercise, hormones and how to live in divine health to enjoy your best life now. It’s time for the Church to be empowered—spirit, soul and body! Watch the next week in this teaching series, Keys to Living in Divine Health.